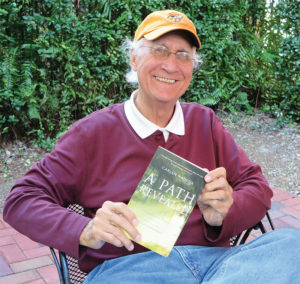 Out of love, faith, and growth came Carlen Maddux’s book about his wife’s journey through Alzheimer’s. After 25 years of marriage, three children, a few career changes, and a wealth of marital and parental experiences, Martha Maddux was diagnosed with Alzheimer’s at the young age of 50. 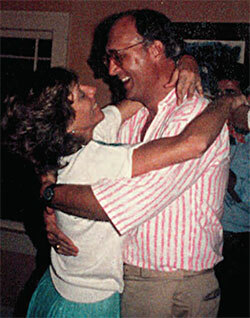 The love affair Carlen Maddux had with his wife continued to grow deeper. 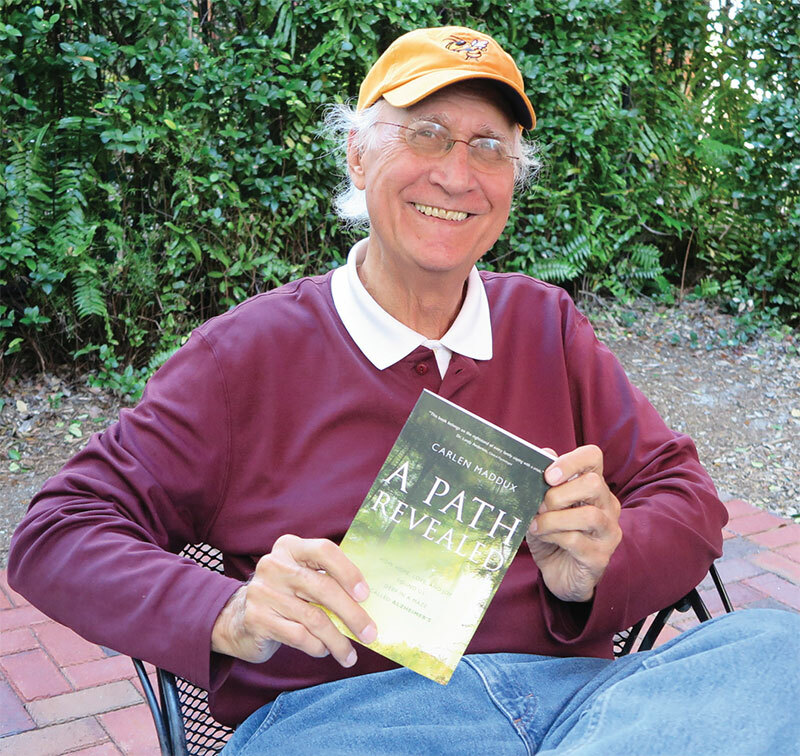 Maddux shares his story of the journey he and his family took over the course of the next 17 years, in his book, A Path Revealed: How Hope, Love, and Joy Found Us Deep in a Maze Called Alzheimer’s, published in October 2016. It is a story of love, faith, and growth, told through the eyes and heart of a devoted husband and father, and a most unassuming gentleman who simply wants to share his story. “Martha, will you marry me?” Carlen asked, driving to her brother’s wedding from Atlanta to Knoxville in the spring of 1972. “Yes!” she replied. The scene seems traditional enough, but Carlen recalls the circumstances and laughs heartily. With a warm, slight Southern drawl, he explains, “We had gotten into an argument. And I mean it was a rip-roaring argument! So I just pulled over and stopped driving for a little while to cool off. Then I started driving again, but then quickly pulled over again.” That’s when he popped the question, out of the blue. “As we kept driving, I said to Martha, ‘Alright, I have to get used to this idea for a little bit, so can I ask you… with all your family up there, can we just keep this between you and me and let me get used to this idea for a little while?’” She agreed, and only told her mother and grandmother. “You could get Martha to do what you wanted, but you couldn’t get Martha to do what you wanted,” explains Carlen. They married that June. Their courtship was equally as ‘unorthodox,’ as Carlen describes. They first met in Atlanta when Carlen was at Georgia Tech and Martha at Agnes Scott College, through Martha’s then-boyfriend and Carlen’s roommate, Tom Elliott. Then they all went to graduate school together at the University of North Carolina. Years later, when Tom married Martha’s roommate Connie, it was at their wedding when Carlen and Martha decided they wanted to get to know each other a little more. Their friendships remained steadfast through the years. Tommy, as Carlen affectionately refers to his former roommate, recently sent him a portrait he had just painted of Martha. “She was very independent, had a great laugh, and she was smart as a whip! The more I got to know her, I saw how she was so empathetic and sensitive to people.” After college, Martha moved back to St. Petersburg, where she was originally from, and taught history at St. Petersburg High School for a year. Early on, she became very involved in the civil rights movement, keeping calm in the classroom when the school system was implementing its busing plans. As a teenager, she had gone to hear Dr. Martin Luther King speak, over her grandmother’s strong objection. 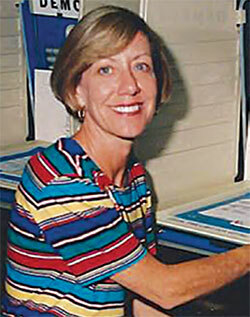 Shortly after their first child, David, was born, Martha began working on Jimmy Carter’s presidential campaign in 1976 when they needed someone to manage in South Pinellas. “She just jumped on that. I hadn’t seen that political side of Martha, and it was interesting to me.” Martha continued to be active in local politics, and was elected to the St. Petersburg City Council in 1983 to fill a vacancy, where she continued to serve for 6 more years. With his business background, Carlen was offered a job with the St. Petersburg Times working as an investment manager. But, he always had an urge to get into writing. “I went to Andy Barnes, the No. 2 editor at the time, and asked, ‘Let me throw a wild idea by you. Any chance I can shift from the business side over to the editorial side?’” He never expected that the idea would fly, but he says, “They took a chance and stuck me out as a cub reporter at Largo and Seminole. 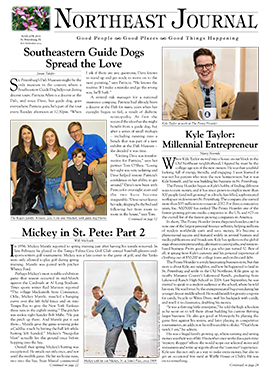 They kept me out there about a year, then brought me down to be on the business desk.” He stayed there until 1983 when he decided to branch out and launch his own business magazine, Maddux Report, focusing on local businesses in the Tampa Bay area. He and Martha were focused on raising their family, busy with their careers – Carlen running his magazine, and Martha on the City Council. During the summers, Martha would pack the kids up in their car and drive up to Montreat, a Presbyterian conference center in North Carolina. They would stay for 6-8 weeks, with Carlen joining them in the beginning and at the end of their stay. 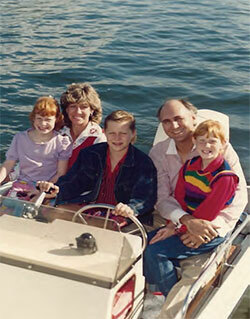 Then their lives took a dramatic turn after Martha’s diagnosis in 1997. Over the next 11 years, Carlen took care of Martha in their home with the help of caregivers, before she entered Menorah Manor. In his book, Carlen talks about the worst emotional blows: the diagnosis, the seizure, and looking for nursing homes. During that period, Carlen, Martha, and their children, David, Rachel, and Kathryn, took multiple journeys – from the literal to the spiritual – exploring their complex layers of love for one another and for their faith. Both with Protestant Christian upbringings, they sought advice, friendship, and guidance from a multitude of faiths. Reverend Lacy Hartwell, their Presbyterian minister and friend who married them, urged them to meet with Sister Elaine Prevallet at the Sisters of Loretto in Kentucky. Carlen flew to Sydney, Australia to talk with an Anglican minister, Canon Jim Glennon, looking for answers in faith and healing. He took retreats to St. Leo Abbey in Pasco County. He absorbed himself with the writings of a Trappist monk, Thomas Merton, who was also a social activist, and explored discourses with the Dalai Lama, a Vietnamese monk named Thich Nhat Hanh, and other Asian religious figures. 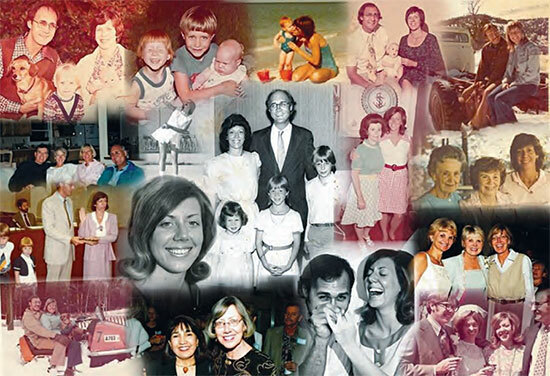 “When Martha was on Council, she – and other council members no longer here – would give anything to see St. Pete like it is now.” Carlen continues to live in the Old Northeast, in the home he shared with Martha since 2002. His daughter Rachel and her family live just a few blocks away. His son David and family are in Tampa. Carlen remarks, “Martha and I never thought that would happen,” thinking that their kids would eventually leave the area. He is busy spending time with his family and friends, promoting his new book, and continuing to explore his faith.